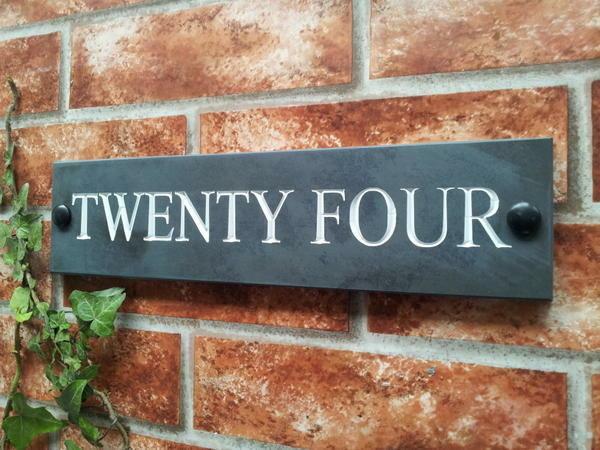 Manufactured from solid honed slate this product features deep v-carved engraving and is available with a choice of three inlay colours and 19 fonts. Hello, we would like to thank you for the sign you made for us. We are very pleased , it looks great on the wall, also for your prompt professional service. Would recommend your company to anyone. As I not good with computers would you please post this as a review online. Just to say thank you for the "Mallets" signs which arrived today. We were pleased to receive the two signs (one of which you described as your reject sign) and we have been able to use both of them and we are delighted with them. 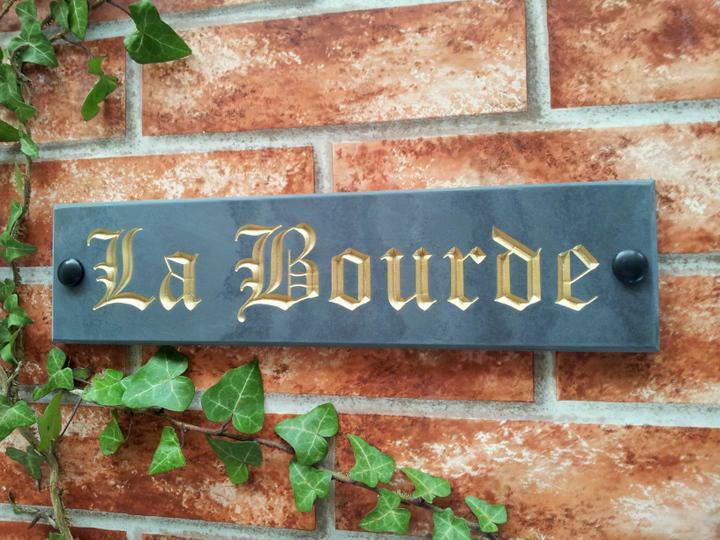 I apologise for not writing sooner, as my house sign arrived last Saturday. I am absolutely delighted with what you have made for me, it is beautifully produced and looks great outside our front door. Thanks also for the professional manner in which you dealt with my order, well done! We have just received and unwrapped our house sign and I felt compelled to write and thank you for such a beautifully crafted sign! It's absolutely stunning! We are so very very pleased with the finished product and the service and communication offered by yourselves since creating the order. Many many thanks indeed! Please feel free to put this up on your website to help your sales. Thanks once again! The signs have arrived. I have opened the packaging for the one "Maple" and am very pleased. Thanks. 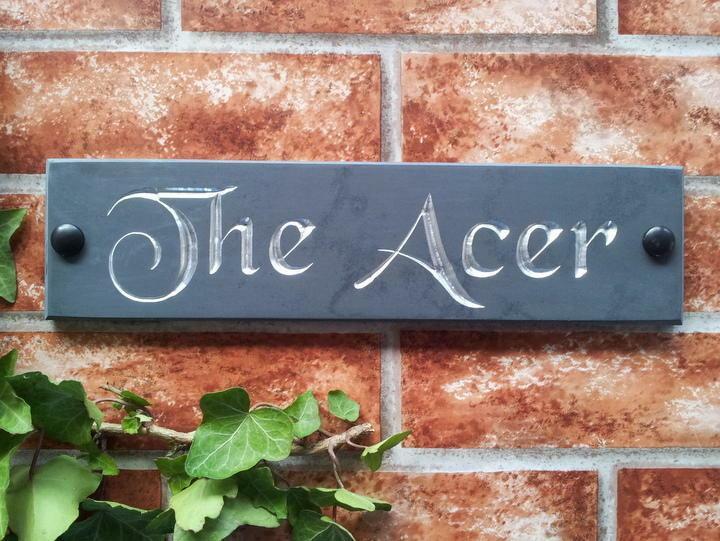 Just a quick note to say thank you for our sign, it is great, I am sure my parents will be very happy with it. Just like to say a big thank you for my sign that I ordered. It was a gift for my parents and they're over the moon. Many Thanks. I love my sign. It is even cuter than I expected and the craftsmanship is superb. I would certainly buy from them again! I can't wait to have it hung up on my cottage. Love it, love it, love it. Very professional company and super product. 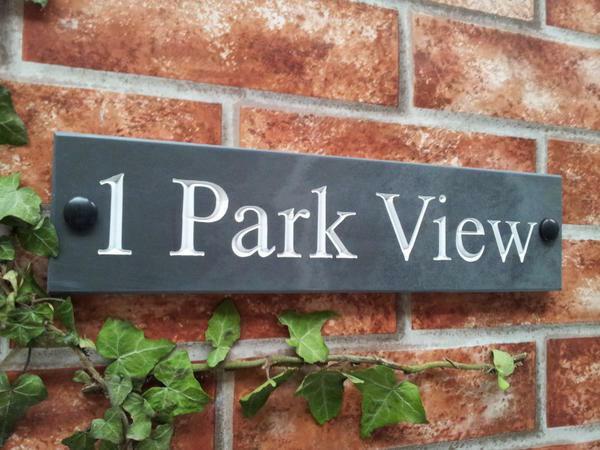 Lovely Sign...Well packed ....looks great on wall...Thanks. Product arrived quickly. Very well packaged for protection. Love the house sign. Beautiful product. Wonderful craftsmanship. Thank you. Very professional service. Excellent service from start to finish, easy to use web site, particularly liked the idea of the mock up proof. Good communication throughout, the sign arrived well packaged within the specified time. It looks pretty good too!